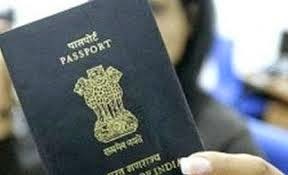 Indian citizens residing in India and abroad holding handwritten passports and 20 year passports with validity beyond date 24 November, 2015 should apply for reissue of passports and obtain Machine Readable Passports before the deadline to avoid inconvenience in obtaining foreign visa or immigration problem. International Civil Aviation Organisation - ICAO, is for globally phasing out all Non Machine Readable Passports (handwritten) from 25 November, 2015 onwards. Foreign Governments from the given date deny visa or entry of any person travelling with a Non Machine Readable Passports (handwritten). Handwritten passports with pasted photos issued earlier 2001 and those issued during mid 1990 with 20 years validity will fall in category of non Machine Readable Passports (handwritten) by Government of India. All the 20 year validity passports fall in this cateogry. Government started issuing Machine Readable Passports since 2001 and all the new Indian Passports are ICAO compliant Machine Readable Passports. Indian Citizens travelling on passport valid for less than six (6) months should renew passport before any of the upcoming international travel. The universal practice in vogue now is 'Once your passport crosses the nine year mark it's time for you to get new passport. Exhaustion of Visa Pages - Few Countries will not accept passports which may have fewer or less than two pages remaining. Please check passport pages and ensure you have enough visa pages and if not apply for reissuance of passport by following standard procedures. Frequent travellers can opt for Jumbo Passport which contains 64 pages.